If you're in need of a Dania Slip and Fall Attorney, call Robert Gluck at the Law Offices of Robert E. Gluck, P.A. 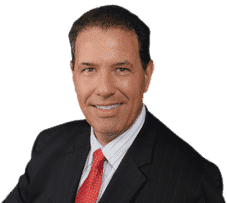 He has been practicing law since 1989 and is very passionate about getting his clients the positive outcome they want for their case. He will provide you with the legal representation and emotional support you need during this difficult time in your life. Robert Gluck will fight hard for you to make sure the person responsible for your injuries pays for your medical bills and treatment. He is a Dania Slip and Fall Attorney who is experienced in legal proceedings and knows all the steps he will need to take for you. He will be sure to explain all the details and keep you updated on his progress. Your Dania Slip and Fall Attorney will start by opening a thorough investigation into your claim to prove someone else was negligent for your accident. He will locate and speak with witnesses, take photos of the accident scene, obtain video surveillance, and any other evidence he believes will be important in building a solid case for you. Robert Gluck is a Dania Slip and Fall Attorney that will be the legal voice you need. Studies have shown you're more likely to get a higher compensation when you hire someone to legally represent you than if you try to handle your case on your own. He will be sure to get you the compensation you need so you can put this whole ordeal behind you and move forward with your life.